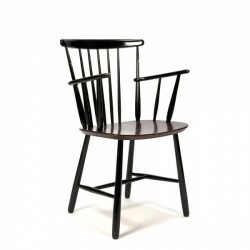 Vintage chair with armrest made of wood. 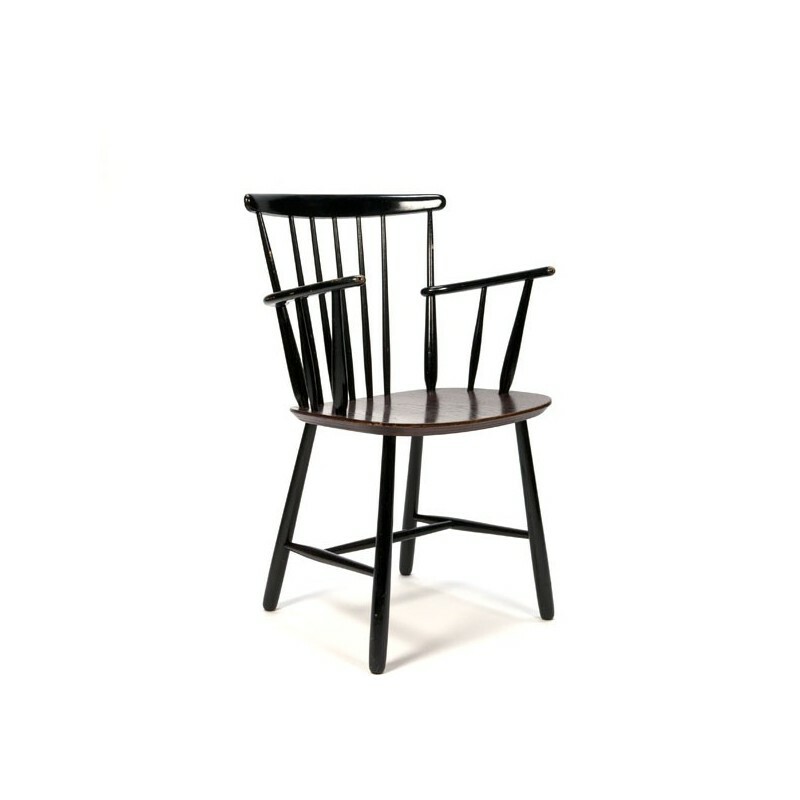 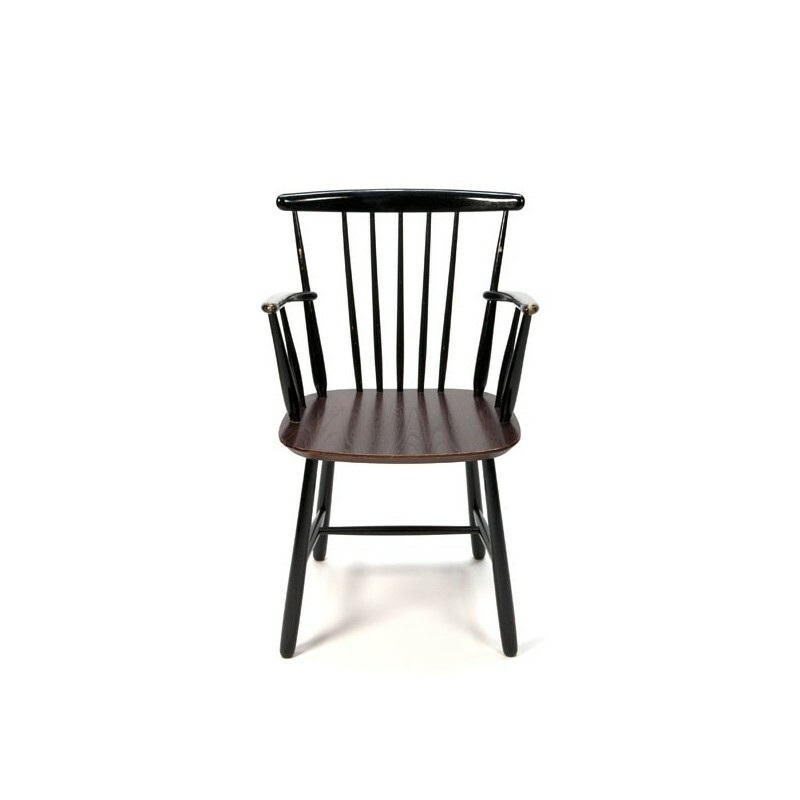 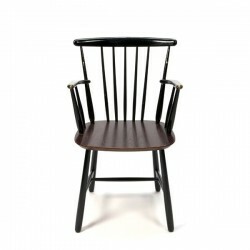 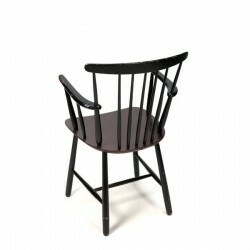 The chair has a lacquered wooden seat and black painted bars and base ( original). 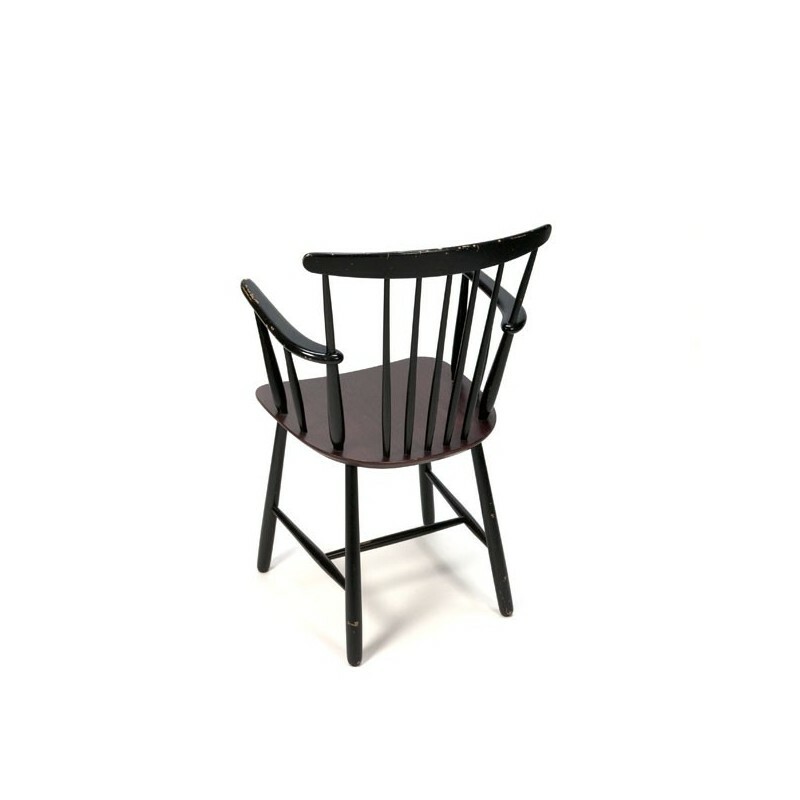 The condition is reasonable, there are clear traces of use, see detailed pictures. 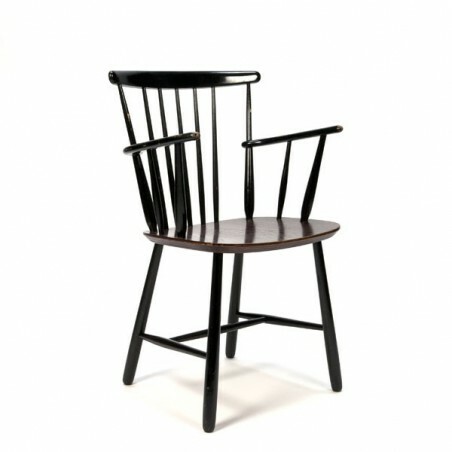 The dimension is 53 cm W / SH 45 cm / 85.5 cm H.